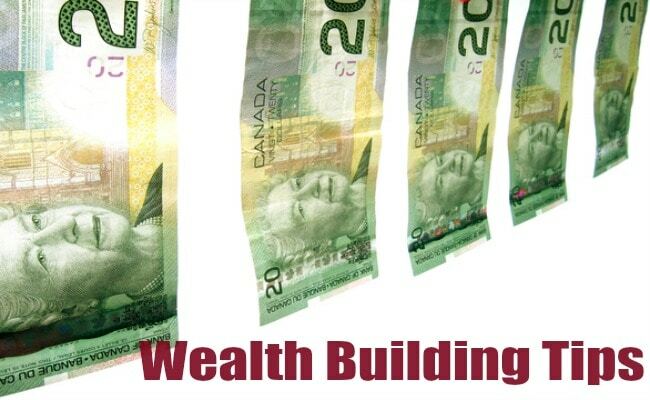 Wealth Building Tip – Take Advantage of Free Money! I was recently catching up with an old friend (we’ll call him Gary) discussing life, family, our careers, and then inevitably.. money. Perhaps it’s because I think about money a lot, but if I have a conversation with someone long enough, it will almost always lead to finances in some way or another. Gary in particular has always been open about numbers, and told me that he makes about $150,000 per year, and a total annual family income of about $220,000. Income wise, they are doing very well, combined with a modest mortgage, and a couple of rental properties their financial situation is bright. While most aspects of his finances were good, there were some concerns that I had, which gave me the idea for this post. My friend wasn’t taking advantage of significant FREE money available out there. Most non-government employers will offer some kind of RRSP plan with a matching option up to a percentage of your salary. My previous employer offered 4% matching. So if my salary was $50k, for every dollar I contributed into the work RRSP up to $2,000 ($50,000 x 4%), my employer would match. This would result in $4,000 total contributed to my work RRSP. In my mind, that extra $2,000 is free money and shouldn’t be turned down. Also with very little market exposure, this is a way for my friend Gary to diversify his exposure to real estate. While I realize that Gary is risk adverse, and has little faith in the market, it’s hard to argue the evidence on the long term returns of the market. To easiest way to replicate long term returns with very little involvement in the market is a simple index ETF/index mutual fund portfolio through a cheap discount broker. Even easier still is the Tangerine all-in-one balanced mutual fund solution. With employer RRSP pensions, there will likely be a limited set of mutual funds to pick from. Here are my thoughts on how to pick the best mutual funds for your employer RRSP. With two young kids, Gary has yet to start an RESP. Under the RESP program, the government will give you an extra 20% on your contribution for each child. The government matching portion (CESG) will max out at $500/year, which means a $2,500 contribution annually to take full advantage of the RESP program. In addition to the government top up, the account can be invested in the market and grow tax free. Even though Gary may be a bit behind in his contributions, the RESP program has flexibility that allows for some catch up. That is, if you are behind in your contributions, you are eligible to receive up to a maximum of $1,000 in CESG per year. In other words, you can contribute up to $5,000 annually per child until you catch up on your contributions. For a real world example, here is a post on catching up on RESP contributions. RESP’s do not need to be complicated and can be setup with a simple indexed portfolio as described above. We set up our family RESP via the TD e-series mutual funds which offer relatively low MER index mutual funds. If you’re interested, you can read about our detailed RESP strategy here. While chatting about travel and strategies that I use to save money on vacations, Gary admitted to me that he usually uses a debit card and cash for his expenses. Staying out of consumer debt is great, but if you have the financial discipline, I think it’s more efficient to funnel spending through a cash back credit card (my favorite cards) for the points/rewards, then pay off the balance on a monthly basis. At least that’s what we do and we collected over $500 in cash back rewards last year. Overall, I think that my friend Gary is doing great financially, but I also think that he’s missing out on some key freebies that he should be taking advantage of. Namely, he’s missing out on at least a couple thousand from his workplace RRSP matching, $1,000 per year from the government towards future tuition; and based on his family spending, around $1,000 per year in cash back rewards. That’s almost enough savings for an annual TFSA contribution – but that’s for another post. Are Airport Lounge Passes Worth it? Great tips for those averse to investing. However, the challenge will be the ongoing support needed if they have no interest in learning. Should Gary meet with a financial advisor regularly? One big advantage of defined benefits pension plan is when employees are enrolled without their consent needed. This way, they are FORCED to save. I wish that RRSP match was like that: you are forced to take the maximum offer. If you want to be removed, you would need to sign 10 forms, go to three meetings and meet dozens of conditions… many more people would save money. For RESP, I would hope that less people get screwed by RESP group plans. Many people probably don’t want RESP after hearing horror stories about them. Since I manage my investments, I can handle RESP, but the process is not easy for people who don’t want to get involved in this type of activity. Good point! I think automatic enrollment is a great idea but I wonder how many company’s actually do that. I would guess that many companies would prefer that employees don’t sign up, to save money (in the short run). Therefore, automatic enrollment is not interesting. However, some companies realize that when employees don’t have enough savings in their 60s, they stay around… if they want to have new employees, they need to help their current employees save. I like the idea of the Registered Education Savings Plan. I don’t think that they are offered in Barbados. Sounds like a great plan to save for your children’s education.